An alternative therapy known as acupressure is sometimes used to protect against repetitive strain injuries, a common workplace problem. It's said that using acupressure techniques may help prevent carpal tunnel syndrome, tendonitis of the wrist or hand, and other issues caused by repetitive movements such as prolonged keyboarding. 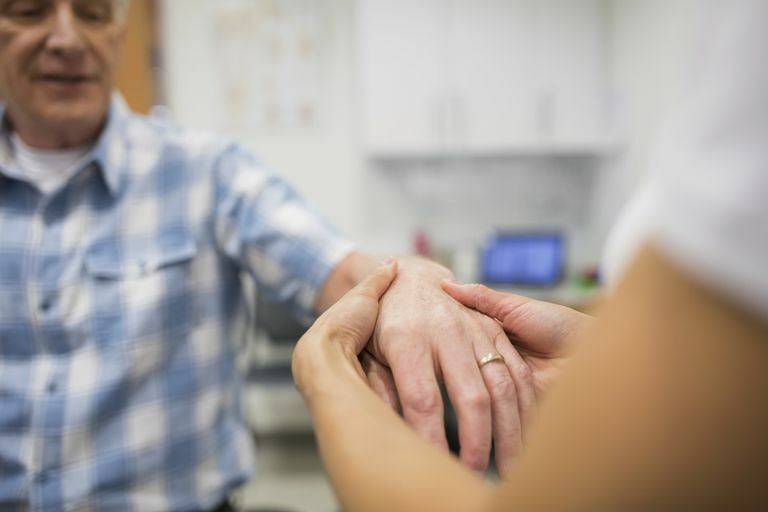 Marked by symptoms of pain, tingling, numbness, swelling or redness of the affected area, and loss of flexibility and strength, repetitive strain injuries may interfere with your ability to perform easy tasks. Over time, these injuries can also lead to temporary or permanent damage to the soft tissues in the body (i.e., the muscles, nerves, tendons, and ligaments) and cause compression of nerves or tissue. Since repetitive strain injuries can be difficult to treat, taking steps to prevent such injuries is essential for healthy functioning. In addition to making changes to your work habits (such as taking frequent breaks, stretching, and improving your office ergonomics), using acupressure might help boost circulation, alleviate muscle tension, and bolster your body's innate self-healing abilities. Long used in traditional Chinese medicine acupressure involves the application of finger pressure to specific points on the body. The same points used in acupuncture, these points are said to lie on certain meridians (i.e., channels through which the body's vital energy, or "chi," is thought to flow). According to the principles of traditional Chinese medicine, health problems can arise from imbalances or blockages in the body's flow of energy. Stimulating acupressure points is said to improve the flow of chi and, in turn, promote healing. It's also theorized that acupressure may trigger the release of pain-relieving chemicals found naturally in your body. There's currently a lack of studies exploring whether acupressure is effective in preventing repetitive strain. In fact, little is known about the effectiveness of any treatment option for repetitive strain injuries, according to a report published in Lancet in 2007. Still, there's some evidence that acupressure may help protect against pain (a hallmark of repetitive strain injuries). In a research review published in Pain Management Nursing in 2014, for instance, scientists analyzed 15 previously published studies testing the effects of acupressure on conditions like menstrual pain, back pain, and headache and found that the technique may be helpful for pain relief. However, this review did not look at the use of acupressure as a pain prevention strategy. Performing acupressure techniques is very simple. With your thumb or middle finger at a 90-degree angle to the skin, apply gradually increasing pressure to the specified point (see below). Hold that pressure for two to three minutes before releasing. It's important to note that each acupressure point will feel different. While some points may be achy, sore, or tense, the pressure should not be painful. To help prevent repetitive strain, try focusing on these acupressure points. The points do not have to be used together to be effective, so choose the tensest points if you don't have enough time for the entire routine. From LI 11, draw an imaginary line to your thumb. The point is three finger widths down this line. Feel the area at the most tender point. This point is at the highest spot of the muscle between the thumb and index finger when they are brought close together. Caution: do not use this point if you are pregnant. TW 5 is on the outer forearm, three finger widths up from the wrist crease and midway between the two long arm bones. PC 6 is exactly opposite, on the inner forearm between the two tendons. This point is at the midpoint of the inner wrist crease, between the two tendons. The point is in the hollow at the center of the wrist crease, on the back surface of the hand. Make a fist, bending your elbow slightly. The point is at the elbow crease on the inner side of the tendon. Please note that the above demonstration is intended for injury prevention and should not be used as a substitute for treatment. If you're experiencing wrist or arm pain, consult your physician rather than attempting to self-treat with acupressure. Chen YW1, Wang HH2. "The effectiveness of acupressure on relieving pain: a systematic review." Pain Manag Nurs. 2014 Jun;15(2):539-50. National Center for Complementary and Integrative Health. "Acupuncture: In Depth." NCCIH Pub No. : D404. January 2016. National Institute of Neurological Disorders and Stroke. "NINDS Repetitive Motion Disorders Information Page." July 11, 2013.
van Tulder M1, Malmivaara A, Koes B. "Repetitive strain injury." Lancet. 2007 May 26;369(9575):1815-22.